It is a safe haven for men and women who are more accustomed to sleeping in doorways and graveyards thanks to a £220,000 refurbishment. The wooden pews in the stunning red brick sanctuary have been removed and replaced with single beds with colourful linens and blankets. 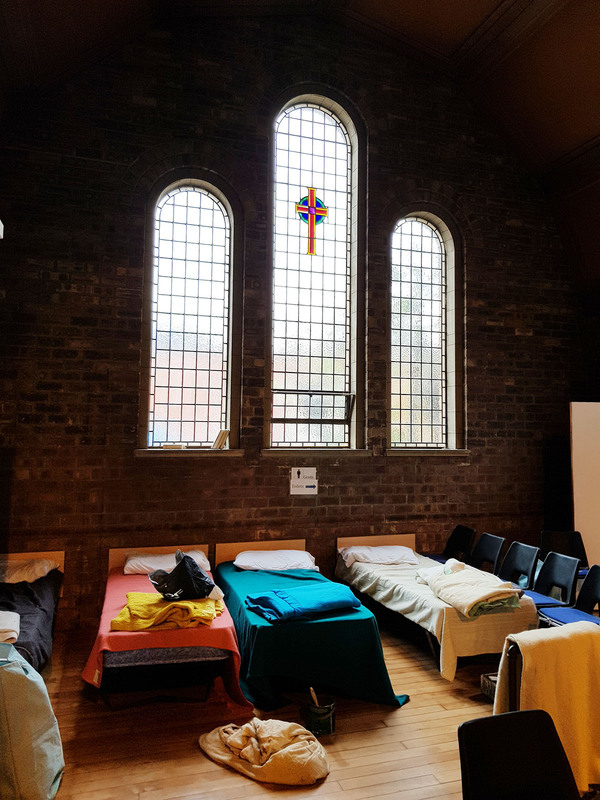 The vestry and small rooms have been converted into toilet and shower facilities for women, whose sleeping quarters are in a separate area of the sanctuary. The building has been renamed Diadem and volunteers from around 70 church congregations in Edinburgh use the kitchen to cook a two-course meal for service users each night. A special thanksgiving service is being held in one of the church halls tomorrow by the congregation’s minister, Rev Peter Barber. 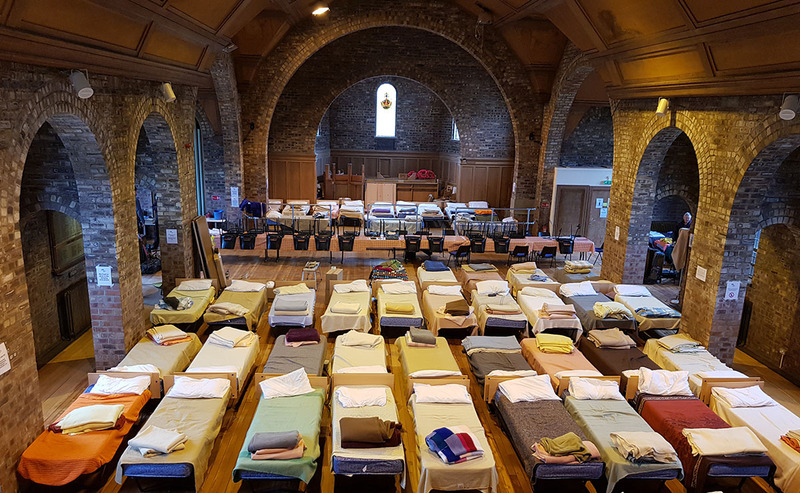 To date during the 2018/19 winter season, the shelter, which is open from 9pm until 6.30am, has welcomed 653 different individuals and provided 10,767 bed spaces. An average of 60 people, many of whom are ferried there by minibus, have used the facility each night. 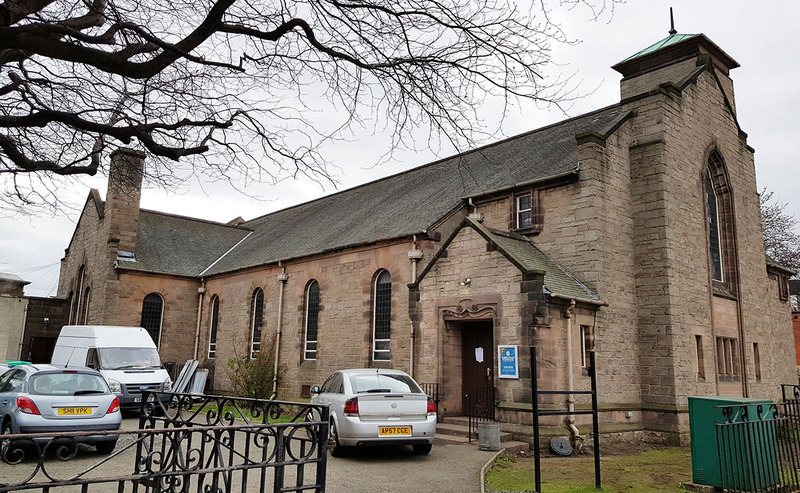 Gorgie, Dalry Stenhouse Church building manager, David MacLennan, said: “The pilot project has been a resounding success. Mr MacLennan said: “The feedback from clients has been very positive. Representatives from different support services visit the project on a regular basis to offer specialised advice and help to clients to help them move on. 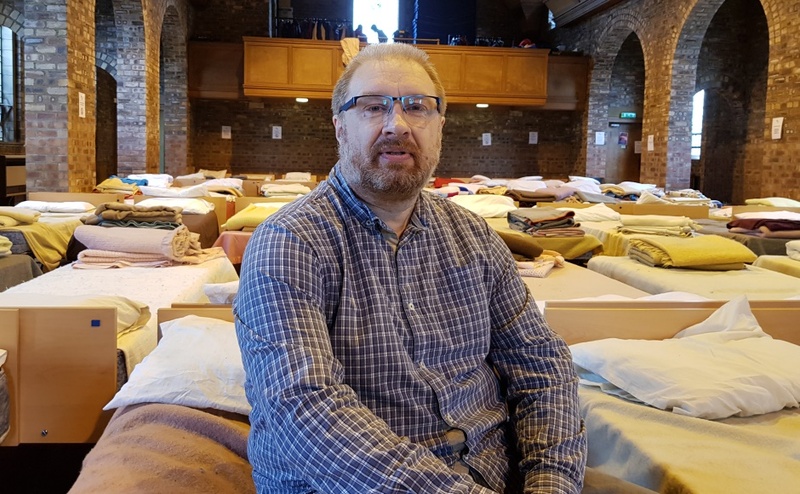 The shelter has received high praise from Gorgie, Dalry, Stenhouse Church community outreach worker Michael McMullin who has experienced homelessness himself. He was forced to couch surf, sleep in his car and on the streets of New Deer in Aberdeenshire for two months, seven years ago after his marriage broke down. Mr McMullin, 49, who is originally from Dunfermiline in Fife, said he felt powerless and unloved. “I was lucky that I had friends who helped me get back on my feet and I hope that the work we are helping to do can help break the circle for people who have fallen on hard times," added the former accountant. “They are valued human beings and the church family does not judge – it provides a warm and safe environment. Mr McMullin, a father of three, said his Christian faith had helped him turn his life around and he is about to get remarried. Ruth Longmuir, care shelter manager for Bethany Christian Trust, said: “Diadem is a wonderful venue and we are delighted to be based there.